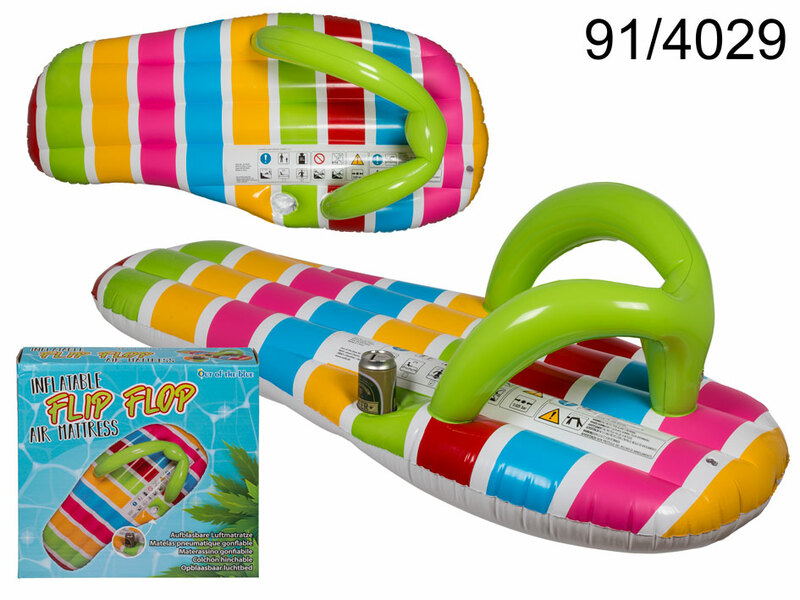 Large 150 cm long swimming pool float that looks like a colourful flip flop. This inflatable water accessory will make both kids and adults enjoy the summer, especially with a drink holder. Handy when learning how to swim as well as during a relaxing day at the beach. Comfortable summertime item made of high-quality materials. Sold in colourful cardboard box.